Terrariums are in. We are unofficially dubbing this summer the Summer of Terrariums. Spruce up your living space with a mini-garden. Whether you are a homeowner or a renter, your living space can be brought to life (literally) with some terrariums. 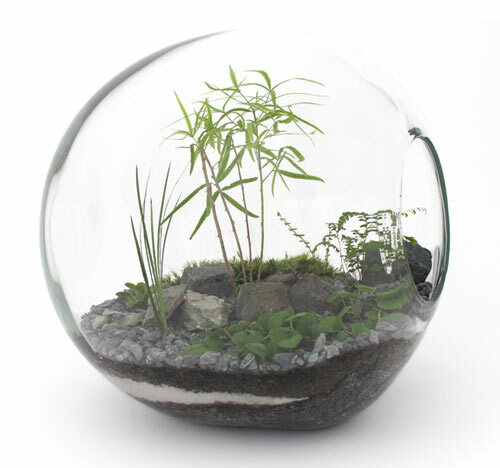 Walk the line between gardening and art, make a terrarium for yourself (or give on to a friend or significant other). Terrariums bring life to a room, like a fish tank, but you don’t have to monitor the oxygen levels or flush your little buddies down the toilet. This man sealed up a bottle with a garden inside in 1960. He had to open it once in 1972 to add some water, but has not opened it since. 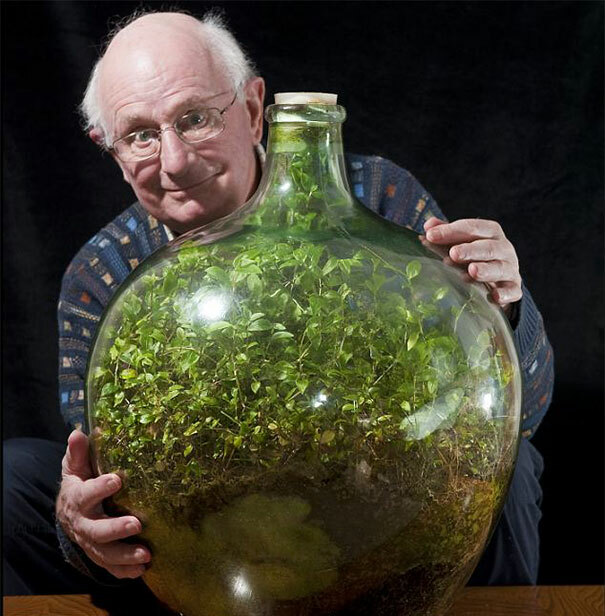 Your terrarium can have a story, like his (especially if you keep it for 62 years!) or can just be put together for aesthetic appeal. Find a couple of funky bottles and plant something different in each one. All you have to do is monitor the water levels in your terrarium: if your plant is drooping, add water, or when you notice there is little to no condensation, add water! Don’t over water; since terrariums are sealed, there is a lot less water loss. Send us pictures of your terrariums!